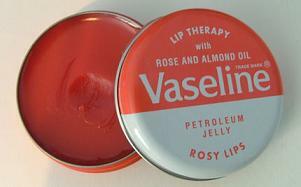 There is a new member of the Vaseline Lip Therapy family, and it is aimed at girlies! This uber-cute little pink tin rose-tints your lips leaving them looking glossy and contains rose and almond oil adding that extra care too, serving two purposes. Hooray! Every girl will be won over by this, maybe even replacing some lipsticks which you treasure too much to take out of your makeup bag at home! Vaseline have definitely done there homework with this, as most people have one of these in their handbag and now, I’m betting it will be upgraded to a new pink tin! It is £1.49 and will be available in your usual high street shops very soon!